Part of Kusama's Infinity Mirror Room "Phalli's Field." If the repetition of the name throws you off, then I do not believe you will much enjoy the art, either. 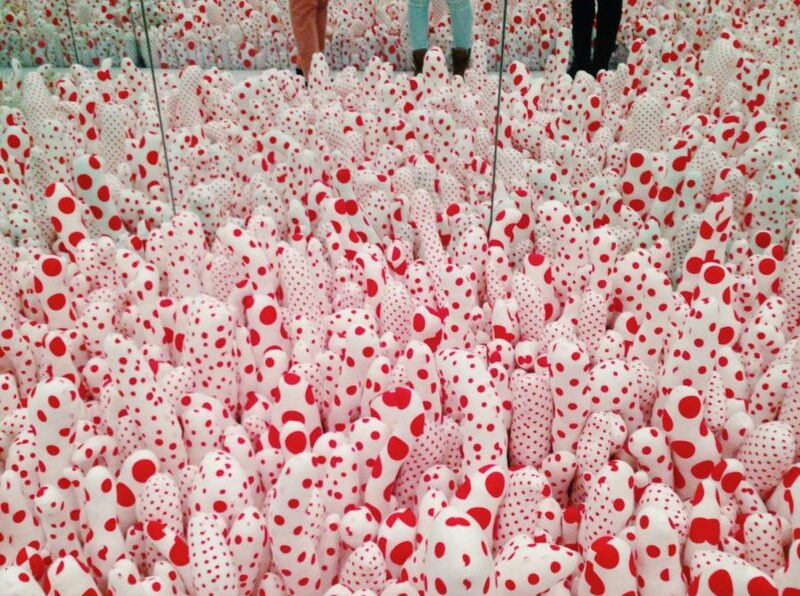 “Infinity Mirrors,” currently on exhibition at the High Museum of Art, features a wide collection of Kusama’s polka-dotted art, which ranges from sculpture to painting to the six mirrored boxes that have repeatedly appeared in my Instagram feed over the past months. The exhibit was certainly highly anticipated–my tickets to visit on January 31 were purchased back in September–which means, if you’re anything like me, you might be a bit skeptical about all of the hype. After visiting myself, I will say that the showcase exceeded my expectations, though not always in the way I went in expecting. This is in part because I admittedly did not do much research before I arrived at the High Museum last week. I was surprised to see that “Infinity Mirrors” contained much more than the mirrored box-landscapes that everyone seemed to be talking about. Kusama has incorporated a wide variety of media in her fascination with forever and infinity, and while her Infinity Mirrors may convey this sense of smallness within the universe best of all, her other artwork is just as pleasing and interesting to observe. 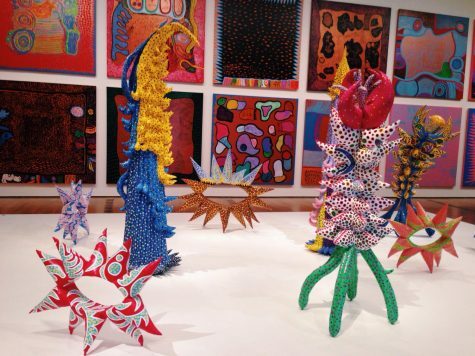 Several of Kusama’s statues and paintings on display. But the Infinity Mirror pieces are receiving plenty of attention for good reason–when I first set foot inside one of these rooms, I was blown away. I knew, logically, that I was inside a mirrored room, but my brain had yet to comprehend that reality. Instead, I truly felt that I was in a space that was forever, just me and millions of red polka dots. I’ve heard before that infinity is much too large for the human brain to comprehend, but I think that this exhibit comes close in helping the average person feel just that: small and insignificant. I would say that the sense of wonder and insignificance that result from stepping inside one of the mirrored rooms is more than enough to make this exhibit worth a visit. In fact, the more rooms I visited, the less I was able to enjoy them. 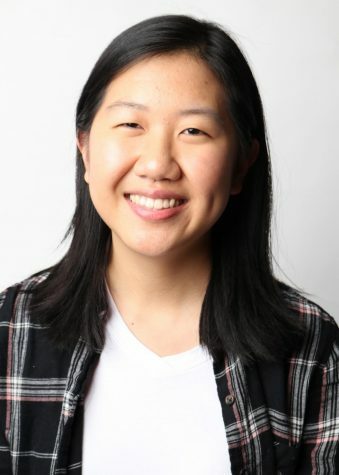 For one, because my senses had begun to acclimate to the structure of the exhibits–I began to see the seams where reality was mirrored, where the illusion was stitched together–but more notably, because of the amount of time I spent waiting in line in between. What I didn’t know about this exhibit before I went in was that, after waiting for my designated entry time, I would also have to wait in line for a chance to enter each of the six infinity mirror exhibits. Some lines were much longer than others–I likely stood in line for at least 15 minutes for one box–but none of them were without some sort of queue. Compound this with the fact that Kusama wished to limit time inside each piece to around 20 to 40 seconds each, and I barely spent any time experiencing that sense of eternity at all. In theory, there is no limit to how many times viewers may visit a piece, but each time, you’ll have to stand in line all over again. In total, I definitely spent less than 10 minutes of my three hour visit inside what I’d considered the meat of the exhibition. In the meantime, though, I got to spend plenty of time observing Kusama’s other pieces. Although less publicized and less of an all-encompassing experience, I still found that I spent much longer than I’d anticipated simply marveling at dot after dot after dot. I was surprised to find that Kusama was able to convey her philosophy of self-obliteration and fascination with humanity’s place in the universe through something as seemingly simple as the repetition of colorful circles. All in all, I would encourage anyone who has the chance to go and experience Kusama’s artwork firsthand, in spite of the long wait times. No picture can do the experience of physically being inside the artwork justice. I could spend eternity marvelling at Kusama’s mirrored masterpieces–but I guess the 20 seconds I was allowed will have to suffice. The final round of tickets to “Infinity Mirrors” go on sale on February 5 at 10 a.m. More information can be found here.